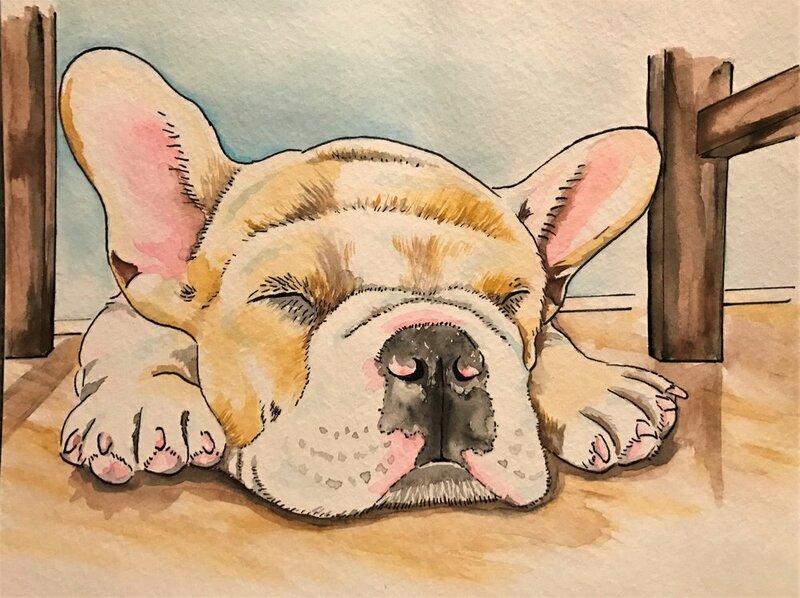 PAINTINGS — MediK9USA NFP, INC.
To continuously raise money for medical supplies, you can have a custom painting of your pet (any species) created by Paul, the president of MEDIK9USA. Price of each painting is $250 due to high demand. More than one pet can be drawn in the same painting for an extra cost, however no people can be added. Please contact MEDIK9USA@gmail.com for availability. MEDIK9USA held a raffle to raise money for our fund. 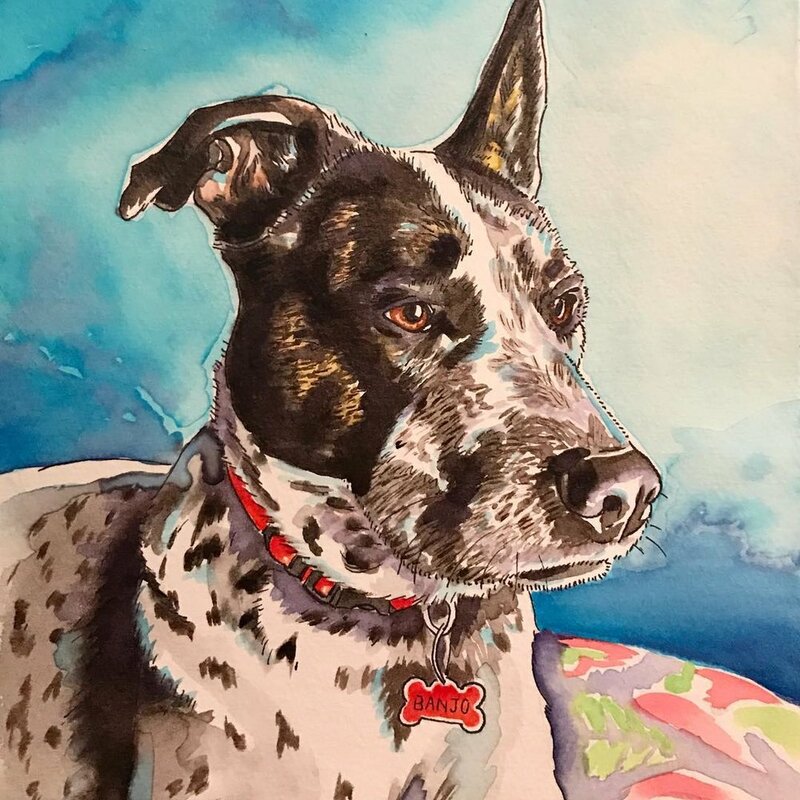 Donations of $10 or more, were entered to win a custom one of a kind pen and watercolor painting of their pet. Every addition $10 earned another raffle ticket (i.e. $20 = 2 tickets). The winner was picked randomly on 02/14/18. The raffle raised over $400 for MEDIK9USA. We are so appreciative to everyone who donated. Follow us on Facebook and Instagram for future offers!